Since Monday Night Football has become a big thing for Sky Sports, Chelsea will travel to Manchester on Monday night to face the Premier League’s in-form team in Manchester City. City have simply been a steamroller in the league as of late, racking up 9 wins in their last 10 league matches, and even when looking a little complacent, have managed to come up with the wins and have done so convincingly, such as the FA Cup match against Watford. Nonetheless, Chelsea also enter this match in good form, having not met defeat since that December defeat to Stoke, but have also recorded two draws, most notably to West Ham in midweek. Regardless of what City manager Manuel Pellegrini says, this is a big match in terms of deciding the title contenders, particularly with Liverpool only able to draw against West Brom and Arsenal’s win over Crystal Palace. A win for City, and they open a 6-point gap between themselves and the Blues and regain the lead league from Arsenal by 1 point. A loss for City, and they’re looking 2 points separating first and third place with City still having to travel to the big teams, which has been the only question they’ve faced all season. To complicate matters, City enter this match without the services of Samir Nasri, who may be having his best season since joining City, and they’ll also be without Sergio Aguero, who injured his hamstring against Tottenham and will be out for a month. They will welcome back a fit Alvaro Negredo, but the question for Pellegrini will be whether he plays two up front or plays just one. We’ll get to that later. Chelsea enter this match with only one real injury complaint, and that is the absence of Fernando Torres to a knee injury. 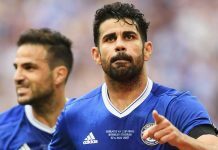 The Spaniard terrorized City in the match at Stamford Bridge, but will be sidelined and watching Samuel Eto’o lead the line. Mohamed Salah has joined the team after securing his work permit and visa but has been on winter break with Basel and has only trained one day, so he’s unlikely to play a part. Otherwise, Chelsea should put out their strongest 11 for this match. How will Pellegrini set up his side? The first question to look at in this match is how Pellegrini will reshuffle the lineup in the absence of Aguero. Typically, when everyone’s fit, Pellegrini has opted to partner Negredo and Aguero as a tandem and played a 4-4-2. If he opts for that approach again, it most likely will mean Negredo partners Edin Dzeko up front. For me, that’s a good matchup for the Blues because it means that neither striker possesses the quickness of Aguero, which caused all sorts of problems in the second half in the first match, and it means that it leaves Fernandinho and Yaya Toure to break up counterattacks through the middle but without the help of a more mobile second striker. The second option is for Pellegrini to play just one up front, most likely Negredo, and will play David Silva behind the striker. While it does solidify that center, it also likely means that James Milner will start on one side, cutting down on the potency of attack down that flank. I personally think that at home, Pellegrini will play two up front, but I also think that it could leave them open to counterattacks if they can’t win the ball high or force long, hopeful punts after spells of possession. Against a Mourinho side, you know the counterattacks are coming, so it puts a premium on ball retention and shape. City’s shape is part of the reason they have problems with conceding goals at times. For all the plaudits for City’s great attacking prowess, and they have been very good, they have gotten a relatively easy ride on their deficiencies defensively and in the transitions, mostly because they can overwhelm you so easily in attack that it masks what they don’t do well. Basically, City essentially attempt to pin you in your own half in attack. They bomb both fullbacks forward, press at least one of Fernandinho or Yaya Toure (sometimes both) into the attack, and try to use clever passing and movement to basically pressure you into mistakes. It’s not that dissimilar to what Barcelona in their pomp under Guardiola did, but they do it with more physicality and a little less control. What I mean by that is that they sometimes push forward so aggressively that they lose control of the transition phase by how many players they commit forward and how they don’t really transition out of attack well. For example, what allowed Barcelona to do what they did was two-fold. As they pressed forward to open spaces, they made sure that the space between the lines was limited by pushing the center backs forward, often using them in the cycling of the play, and they also aggressively pressed in their own attacking half. City don’t necessarily do both of those things in conjuction with their attacks. While the two wide men and the strikers try to win the ball back, their primary job is to rush you into hoofing it clear, then the center backs ping the ball back to the midfield and you’re under pressure again. In addition, City also don’t really push their center backs forward to close the space between midfield and defence, meaning that there usually is space there for a counter if you can get there. For me, these are the two systematic flaws that I think have led to a few teams getting goals against them and putting them in a bit of worry because if they’re not all switched on, there are many more gaps to attack if you can get out of your own half with calm and poise. City must hope that Navas and Silva, if they play wide, track back enough to help their fullbacks when they come forward. The two diminutive Spaniards are going to play a big part in this match because it will be their job to help out their fullbacks if Chelsea spring the counter. In the wide areas, City like to pin your wide players back by often bombing the fullbacks into the attack and forcing your wingers deep. The problem is that if you watch them, there are many times they have to spring 80 yards back if a team is able to counter them. This is in part because Navas and Silva aren’t particularly astute defensive players, and neither is Nasri when he’s fit. Also, the need for them to help the fullbacks is magnified because the one area that’s open for the counter is to play to the center and run at the center backs to open space. For all the talk about Toure and his greatness, he’s not the most adept at tracking back. In fact, you can make the argument that City play with a more physical attacking midfielder and a box-to-box midfielder in the center with neither one demonstrating the energy levels consistently to cover the entire center together. This ends up affecting the wide men because if the wide players don’t cover or win the ball back quickly, the fullbacks are out of position and there’s no one in the center midfield area to help out. The result is that you can run at the back line, and that’s what we did to them so effectively in the first meeting. It will be interesting to see if that can be replicated at home. I don’t for one second think that Jose Mourinho will go to the Etihad Stadium and turn the same trick that Sam Allardyce and West Ham did against us on Wednesday. If you look at these two teams, the way they’re set up to play is similar (with some major and minor differences) to the El Clasicos of the past few years. People will point to Inter parking the bus against Barcelona, but that was a different team to the one he assembled at Real Madrid and different to the one he has here. In both instances, he was able to use a number 10 and energy in the midfield area to counterattack swiftly and use the pace in the wide areas, which is something he never really had at Inter. My guess is that while Chelsea will be well-organized, I do not believe he will play the 4-3-3 with a Makelele type holding player, but rather I think he’ll make sure the shape is solid as to not concede and look to use the pace of Eden Hazard, Oscar, and Willian to trigger the counter. As dire as the Arsenal match was perceived to be, it does stand to note that the best chances in that match were created by Chelsea, and that plan was specific to an Arsenal side that doesn’t play with the same mixture of physical and technical play that City do. Because of their penchant to play 4-4-2, there’s always a bit of space in the midfield and it makes it very hard to muck that area up the same way you can against the Gunners. While I don’t think Mourinho will try to “out-football” City, I think he’ll still set out a side that can nick a goal or two on the counter if City fall asleep, but with a midfield and defence that will force them to play it in positions that are less dangerous.